Yet again Vertical Rush 2017, hosted by Tower 42 on behalf od Shelter was a huge success. In it’s 9th year with 1200 runners signed up to climb the 932 stairs over 46 flights of stairs to the 42nd floor at 590 feet, this year was the largest attendance to date! 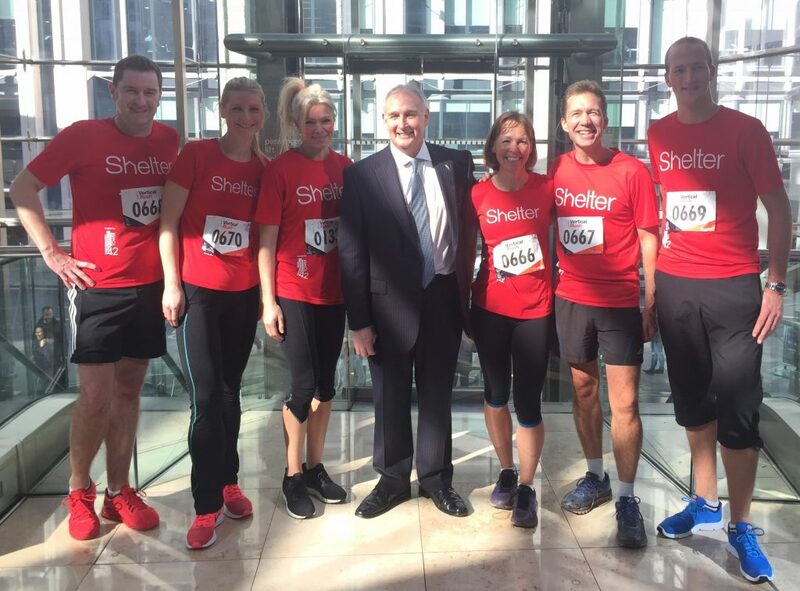 Barry Rushmer, Tower 42 General Manager welcomed many of the building occupiers and staff running the tower, along with a host of Celebrities including Shelter Ambassador Nell McAndrew.